It’s pregnant sensory overload at our upcoming Baby Shower High Tea in Sydney with gorgeous gifts, divine décor and adorable attire for your little one. Indulge in an afternoon of tantalizing treats, grandiose giveaways and captivating conversation as you get ready to welcome your bub into the world. Our Babyology Baby Shower High Tea is returning to Sydney and we are more than excited to meet a new round of expectant mums! 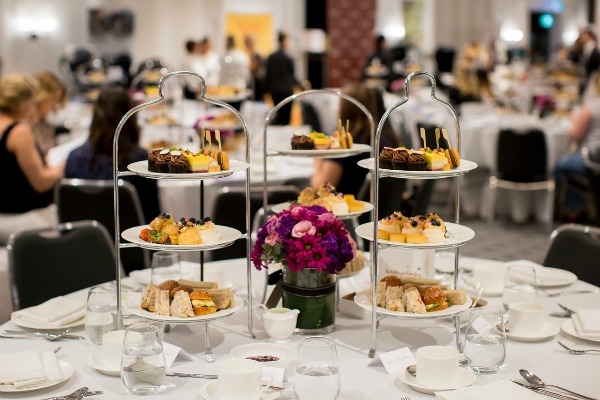 The next High Teas will take place on Sunday 13 November at the prestigious InterContinental Sydney Double Bay. We have two sittings available each day from 12-2pm and 3-5pm. But hurry, because tickets are selling out fast and at just $70 per person, we can promise you they won’t last long! 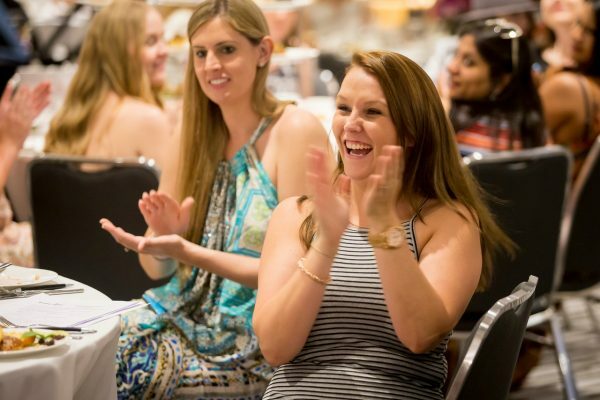 Our past attendees all agree that, on top of the delicious food and great giveaways, the best part of the Babyology Baby Shower is the bags! Each one comes with a slew of goodies for mum and bub, valued at $200 each plus lots of special offers and discounts. And everyone who attends gets to bring home a bag! All of our past events have sold out and once you see what’s up for grabs, it’s easy to see why! Read all about the prizes and event details here. For first time mums, this is an exciting stop on your pregnancy journey that is all about preparing you for what’s to come. 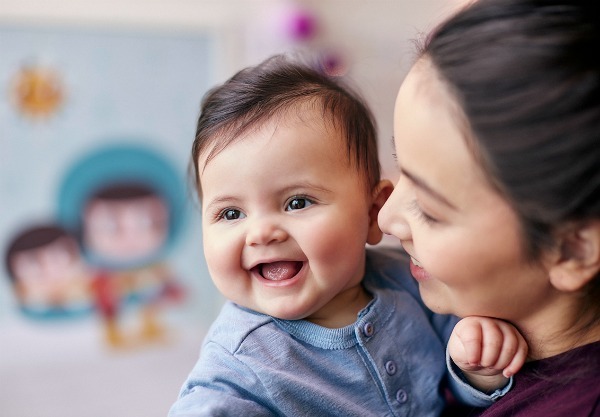 We have a number of top parenting experts and professionals in the field on hand, ready to discuss all things baby with you. 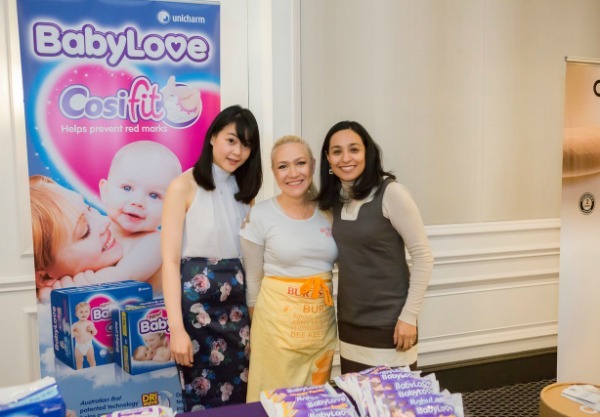 Plus, attendees are treated to the must-have products for new mums from favourites such as Ergobaby and Bugaboo. So what are we giving away this time around? Attendees will be treated to two bottles of aquamamma hydration beverage specifically formulated to help meet the hydration needs of pregnant and breastfeeding women. Philips Avent have a pack of Philips Avent Breast Pads for every mum-to-be and we’ve got a wide range of speciality teas from Madame Flavour and skincare products from Multi-Gyn. But what about for bubs? We’ve got dummies, bottles, nappies, singlets, onesies and so much more! The Green Elephant Early Learning Centre have an adorable matching Green Elephant bib and singlet for each baby. BabyLove are giving away their popular Cosifit Nappies in newborn and crawler sizes. BabyLove Cosifit nappies, featuring Australian-first patented technology, help prevent harsh, red marks on baby’s delicate skin and provide advanced leakage protection. Your little one will also be treated to two different dummies to test out. The Suavinex Premium Haute Couture physio soother from Babyhome is the ultimate in dummies and provides a little luxury for babies with highly fashionable design and functionality. The Difrax soother from Mamas & Papas is designed to allow free breathing through the nose. 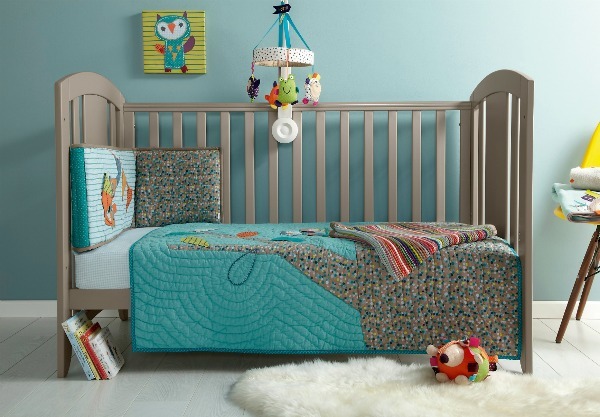 There are plenty of vouchers on offer, including an Ergobaby Discount Voucher for 20 per cent as well as a leaflet for the luxurious Babyhome furniture range (and 15 per cent off with free shipping!). The latest Bugaboo catalogue is also available. 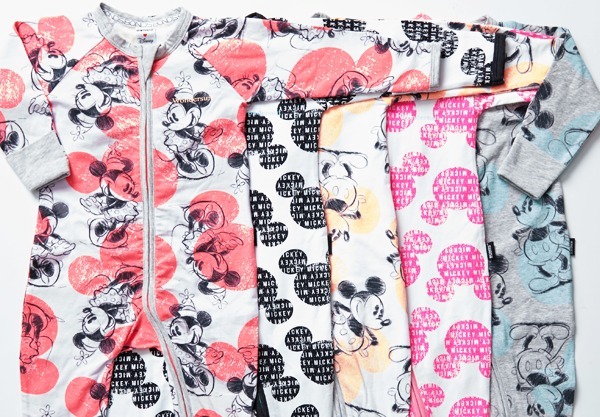 We also have Disney zippy onesies from Bonds, organic maternity pads from Tom Organic, Sponky face washers and a recipe book from baby culinary queen Annabel Karmel. We are more than excited to announce another major giveaway happening on the day – the Newborn Care Package prize from esteemed baby sleep consultant, Natalie Herman. Valued at $550, it comes with rave reviews from sleep-deprived mums around the country. Don’t miss out on this fantastic opportunity to welcome your little one into the world in style and comfort and hopefully take home a fantastic prize on top of your gift bag. Book now to avoid disappointment. We look forward to seeing you there!